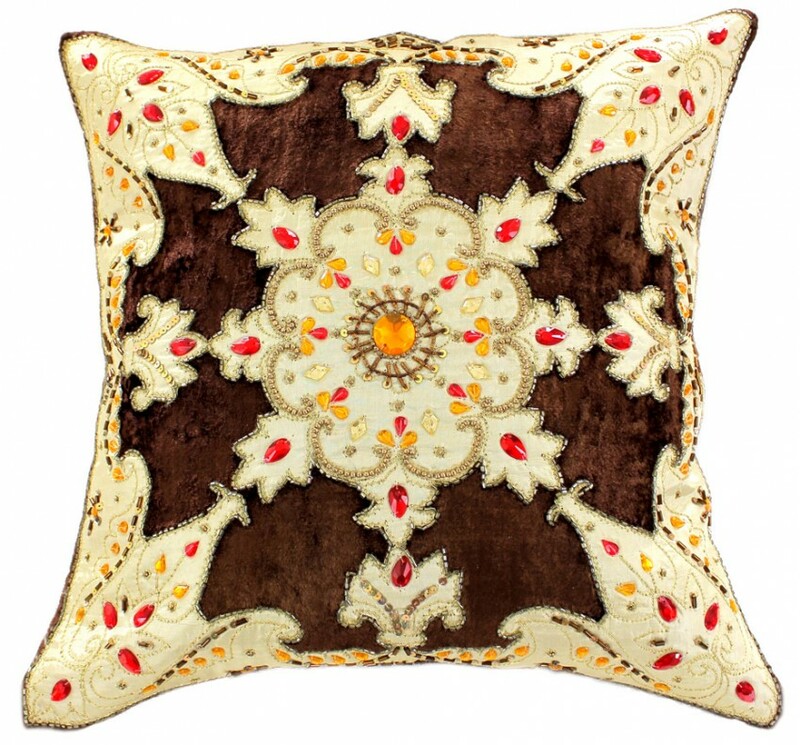 Our luxurious handmade throw pillow cover from Banarsi Designs featuring plush velvet patches and sophisticated and elegant stone embroidery. 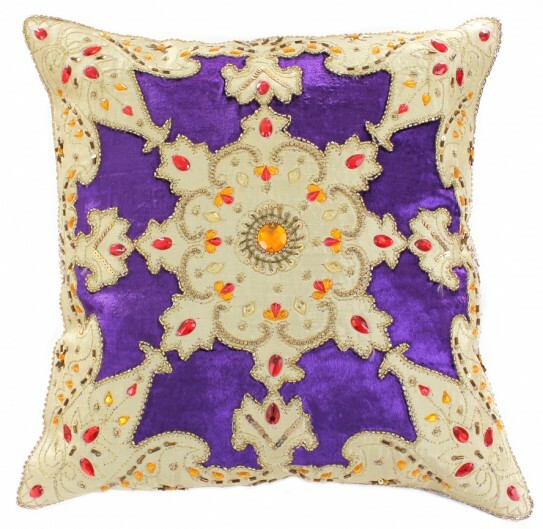 This beautiful and truly unique throw pillow cover will add a touch of glamour, elegance and sophistication to your home. 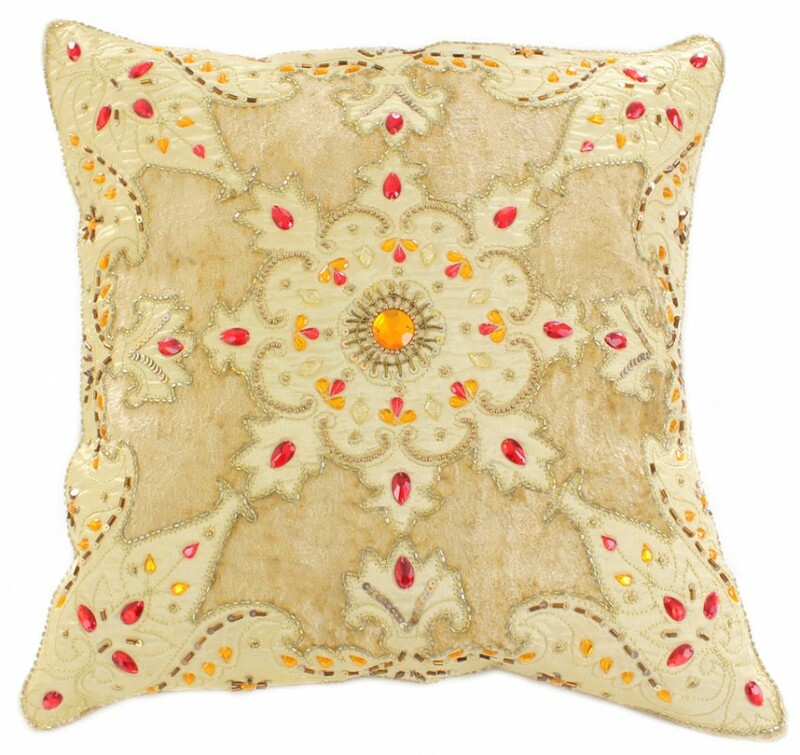 Hand crafted in India, this vibrant pillow cover is available in multiple colors.